"Freedom fighters fought for the nation and we celebrate the Independence Day to remember them and their selfless sacrifice. Although we have got freedom from our colonial masters, we are yet fighting for getting freedom from many ‘discriminations’, predominantly discrimination based on gender". 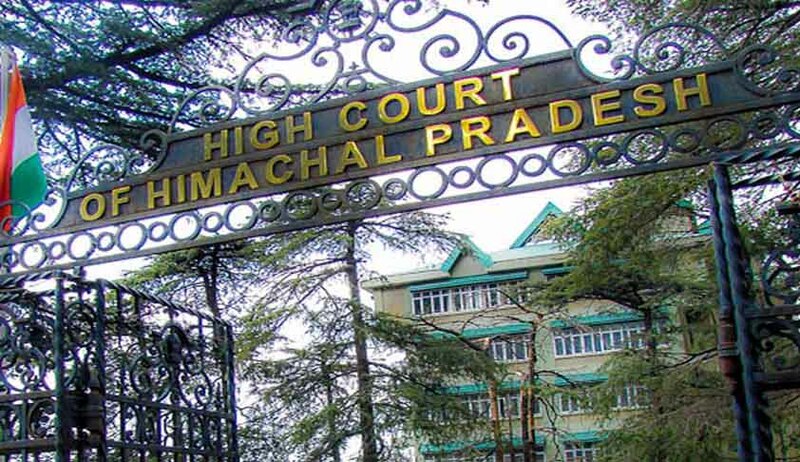 The Himachal Pradesh High Court, on the eve of Independence Day, pronounced a landmark judgment quashing a ‘gender discriminatory’ decades-long policy of the state government of depriving the benefit of reservation in government jobs to the wards of freedom fighters to married daughters/grand-daughters. The division bench of Acting Chief Justice Sanjay Karol and Justice Sandeep Sharma held that the state shall not discriminate against married daughters by depriving them of the benefit of the reservation, which is made available to a son irrespective of his marital status. In 1984, the state government decided to provide 2% reservation in services to the children/grandchildren of freedom fighters belonging to the state in direct recruitment to all services/posts. As per the scheme, the benefit of reservation would be applicable in respect of sons/grandsons, daughters/ granddaughters of freedom fighters. The employed children/grandchildren and married daughters/ granddaughters of freedom fighters were excluded from the scheme. Whether Policy of the State, providing reservation for recruitment, confined only to the unmarried daughters, unlike sons, who are married, is discriminatory or not? If the marital status of a son does not make any difference in law, qua his entitlement or eligibility as a descendent, then why should marital status of a daughter, in terms of constitutional values, make any difference? Whether there is a nexus with the objects sought to be achieved by the said action of the State? The state’s justification, in this issue, was that with the solemnization of marriage, daughter severs her relationship with her parental family, for she gets “transplanted” into the family of her husband, and as such, cannot claim herself to be part of a family of a freedom fighter. The state also told the court that ‘after marriage, a married woman loses the status of being a member of parent’s family though married daughter/granddaughters after marriage do not lose status of member of undivided family of her father for the purpose of property’. The bench also observed that the primary object and purpose of the Policy is not to confer benefits only on the male members of the freedom fighters but to acknowledge the sacrifices made by the freedom fighters, by giving employment to their wards. The bench also observed that as per the policy ‘Sons and grandsons of freedom fighters are eligible to be considered for the quota under the category “Wards of Freedom Fighters” even though married, but not the married daughters and granddaughters’. The court also referred to judgments of the Supreme Court and various high courts to hold that marriage does not have and should not have a proximate nexus with the identity of a woman, and this identity as a woman continues to subsist even after and notwithstanding her marital status.